They found that over a 4 year trial, red meat was linked to higher incidence of Type 2 diabetes (also called adult onset). In fact, researchers observed 20 years of dietary data for these individuals. Scientists sliced the two decades by 4 year time periods. Next they analyzed the resulting health picture of the volunteers over five different intervals. An increase in red meat over 4 years increased the risk of Type 2 diabetes by almost 50%. The increase averaged out to about half a serving size. A serving size resembles a deck of cards. Renovating Your Mind has spoken about getting at least one day weekly into your dietary schedule where you consume meat-less meals. This study and others helps to show the way for cutting down on meat intake. If your budget allows, search for meat that is certified organic. This present trial is unique because of the long duration of the study. Earlier studies showed the same effect but over shorter periods of time. A 20 year study has more impact in regards to a “real effect” of dietary changes with regards to red meat. It’s probably all about the fat and not the protein. Increasing amounts of excess stored fat negatively effects how cells react to hormones. One of these hormones is insulin. 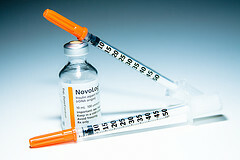 This faturated (my own word) insulin doesn’t work correctly because the body has too much stored fat. In time, the patient will need medication or insulin. There is also a problem with the animals. Industrialized non-organic animal farms are using all kinds of chemicals to treat their animals. Many end up in the meat. They are also raised packed together like sardines in a can. This spreads bacteria and possibly disease. Animals witness the screaming and the blood of those kin ahead in line. 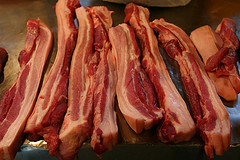 This increases adrenalin in the animal with those steroids at much higher levels than normal in the butchered meat. Think about being in line waiting to be killed and what would happen to your stress hormones, blood pressure and heart rate. 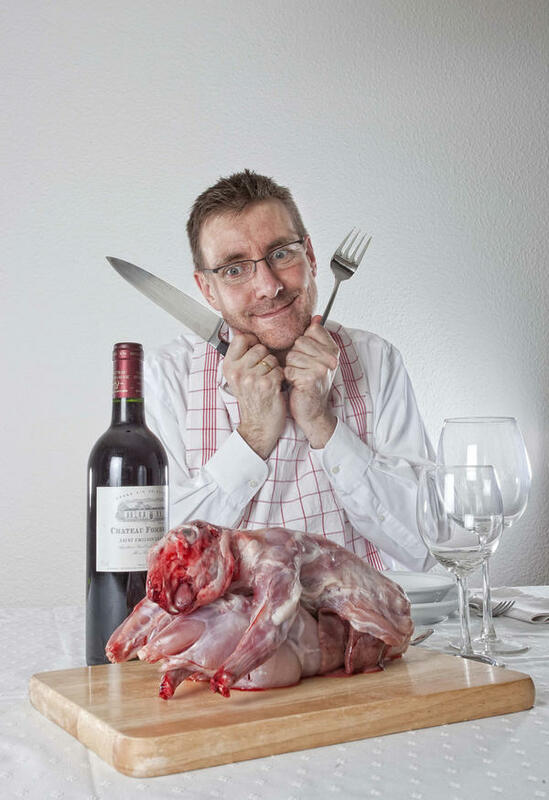 We are consuming all that adrenalin when we cook that pretty packaged piece of meat. All of these chemicals and fats lead to the abnormal hormonal interplay. Insulin does not work well to lower blood glucose levels. The pancreas, the organ that produces insulin, recognizes that blood sugar is still high. It starts pumping out more and more insulin to no avail. Ultimately, the pancreas will burn itself out producing insulin that works very poorly. Excess fat in the body causes cells not to recognize insulin. Insulin is the doorman that allows your cells to open a portal to have glucose get inside the cell. If that door doesn’t get opened, glucose stays on the outside of the cell. Sugar levels build up and over time the abnormal condition becomes a disease called diabetes. Don’t let this happen to you. Make some significant evolutionary changes in your diet. If you are diabetic, you can improve your situation by lowering your consumption of red meat. Everyone, myself included, can always change their diet and eat healthier. We become what we eat. Increase your chances for a healthy future by altering your diet today.